Once a client approached me to build a mobile app for his restaurant. We had conversation and I casually asked him what made you to decide to own an app for your business, then he replied, “I serve the best menu in my locality, our tables are always full, but for last 10 years I didn’t witnessed any growth in my business”. Well, Instead of serving best menu in the locality, his business growth was limited. You know why this happened to him, because of two reasons. He can’t do business beyond the limit of his tables. Popularity of his menu was limited to his locality only. Suppose Sachin Tendulkar had played only Gully Cricket whole his life, is he known to us today? Probably he was star in his locality but he never becomes a global star. So there should a way out to uplift above two restrictions over the business. But relax, where there is a will, there is a way. And the way is Mobile apps and websites. 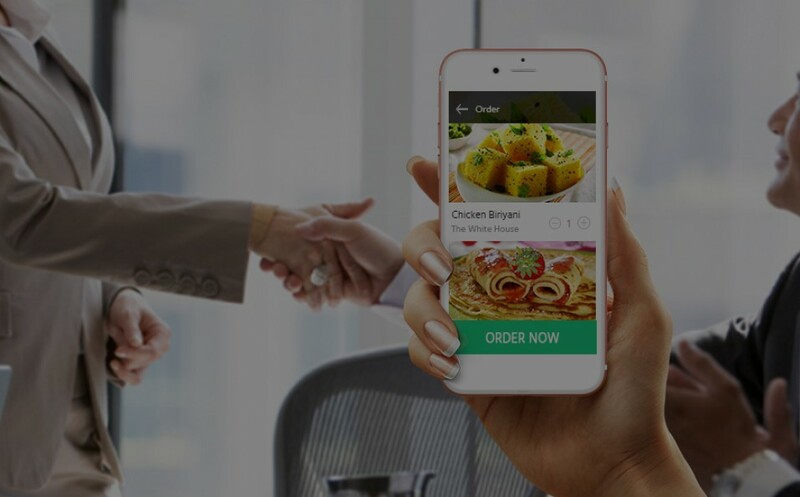 This is high time when you should implement an online food ordering system for your Restaurant. I am going to list some benefits of having an online food ordering system for Restaurants. More profitable - Although you are earning a handsome profit from your booked tables, but can you earn more than limits of your table? yes why not. With mobile apps you can serve your menu digitally and can increase your profit exponentially. Global access - You must be tired to see same faces again and again in your restaurant and admiration of your awesome menu from same people. Widespread your menu globally with the help of mobile apps and intimate more customers with your awesome menu. Social Sharing - One of the best part of integrating mobile app in to your restaurant is you can collect reviews and ratings online. If your customers share positive experience on social media, it is a great way to advance words of mouth and social proof around your business. It will boost your reputation, and you will witness more orders afterward. Easy order - Customers order online mainly because of convenience. So facilitate your users to access your menu easily on mobile apps. Also add easy features like click-tocall etc. Offer coupons - Coupons are one of the most popular ways to boost the business. A research says that if 37% of the consumers are searching for coupons before they place order. You can add attractive coupons on your apps to attract more customers. GPS and Location - With the help of GPS and Google map end users can search your restaurants to order food. Even they don’t have to provide their address. Application can automatically trace the address and food delivery becomes easy. Payment Gateways - With the help of your Website or application you can facilitate users to pay online by credit card, debit card, cash card, net banking etc. This will neutralize the effect of Demonetization so that people can enjoy your awesome menu without any hurdle. So instead of being fish in the pond, explore the ocean with mobile apps. Mobile apps will boost your profit, accessibility and standard.